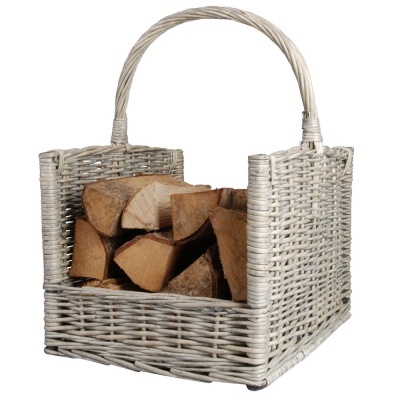 Fallen Fruits Fireside Log Basket - Grey from the Esschert's Designer range provides a wicker garden willow rack for attractive storage of firelogs indoors. Strong, sturdy with neutral colour design for suiting any fireplace situation. Grey firewood basket with ample capacity not only for storing logs, but can also be used for reading materials or just serve as decorative addition to the fireside.